Did a feature of my car before I sold it, hence the title "Kiki's Final Prime". The car is a 1997 Honda Civic Ex nicknamed Kiki. 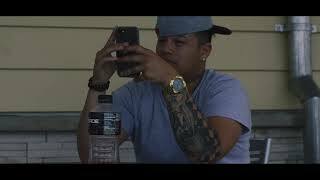 Still learning the ropes of film making (especially since this is my first video) so feedback is appreciated! This video was not planned, I just decided to randomly records shots while giving the car its needed wash. Also took it to a shopping center to record its final shots before being parted out. Marcus Langston where i find crear lip? 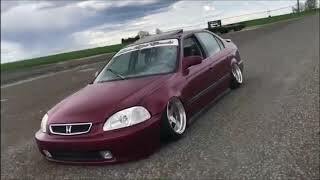 +jdm_low_life_ Style BC coilovers? Yeah, those are pretty good I heard. How much did those run you? +jdm_low_life_ Style Sweet! with that setup, you should be able to get pretty low. what color did you go for? 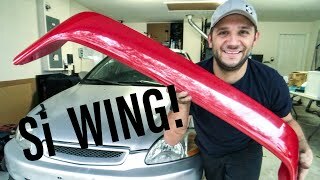 I have a 1999 civic si (canadian) same as ex in u.s. Is it an ej8? Dam where you get your rest lip looks mint? Haha thought so, that's like the only reason to move away from home. I not from Oahu, but I want to live there one day and learn the Island. I'm from Kona. I assume you moved for school? Ah, you moved away from home too! 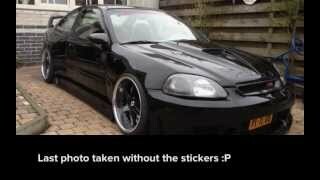 I have the same black si. 2000 B20b VTEC swap. Such a beautiful car, it's a shame you had to part it out. Wheel and tire setup ? 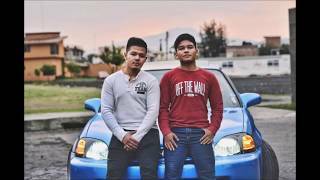 Chino Espinoza SI models were only made coupes when they reappeared back on the market from 99-2000 , EX models were both sedan and coupe from 95-2000 I believe , depends on what you have. Chino Espinoza no between the sedan and coupe models the rear ends are different and the obvious a hatchback is a hatchback. 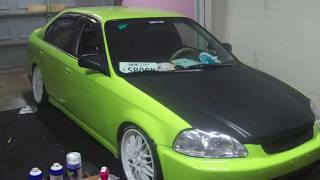 Ekstensive Films hay do the all 2000 Honda civic have the same body style. Good video brotha! I just recently restored my ej8, check it out. hopefully it inspires you to buy another civic! are those wheels for sale? Moazam Shahid they are XXR 551, they're on eBay. 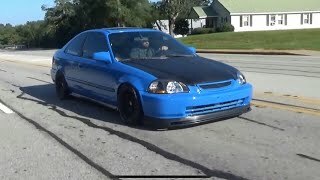 For a civic you can run the 15×8 or 16×8. Krevalz is there any way i could find those custom wheels for a good price? Awsome vid I truely enjoy was so clear. How many inches drop? Can anyone tell me what part he had under the lip?? It was a separate black piece I'm have the same lip just not that black piece under it HELP! Krevalz man thanks so much this is appreciated !! Matty Ruger look up EZ lip splitter on eBay. It can fit on any car. rear lip where i find it plz help? 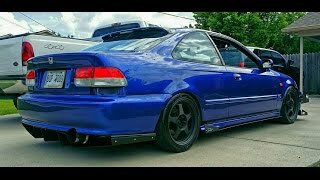 Corey's Stanced EK Coupe - A Day In The Life..
LA TRANSFORMACIÓN DE MI HONDA CIVIC!